Digital Twin Technology is one among the top 10 strategic technology trends named by Gartner Inc. in 2017. Digital Twin concept represents the convergence of the physical and the virtual world where every industrial product will get a dynamic digital representation. Throughout the product development life cycle, right from the design phase to the deployment phase, organizations can have a complete digital foot print of their products. These ‘connected digital things’ generate data in real time, and this helps businesses in better analyze and predict the problems in advance or give early warnings, prevent downtime, develop new opportunities and even plan better products for the future at lower costs by using simulations. All these will have a greater impact on delivering a better customer experience in business as well. Digital Twins which incorporates Big Data, Artificial Intelligence (AI), Machine Learning (ML) and Internet of Things are key in Industry 4.0 and are predominantly used in the Industrial Internet of Things, engineering, and manufacturing business space. The widespread reach and usage of the Internet of Things have made the Digital Twins more cost-effective and accessible for the business world. Digital Twins, the virtual counterparts of the physical assets are created as digitalized duplicates of machines/ equipment or physical sites using sensors. These digital assets can be created even before an asset is built physically. To create a digital twin of any physical asset, the engineers collect and synthesize data from various sources including physical data, manufacturing data, operational data and insights from analytics software. All this information along with AI algorithms is integrated into a physics-based virtual model and by applying Analytics into these models we get the relevant insights regarding the physical asset. The consistent flow of data helps in getting the best possible analysis and insights regarding the asset which helps in optimizing the business outcome. Thus the digital twin will act as a live model of the physical equipment. Digital Twin concept is the next big thing in most of the business sectors, which helps in accurately predicting the current state and future of physical assets by analyzing their digital counter parts. By implementing Digital Twins, organizations can gain better insights on product performance, improve customer service and make better operational and strategic decisions based on these insights. We have started seeing the major applications of Digital Twins in the following sectors. Retail: Appealing customer experience is key in the retail sector. 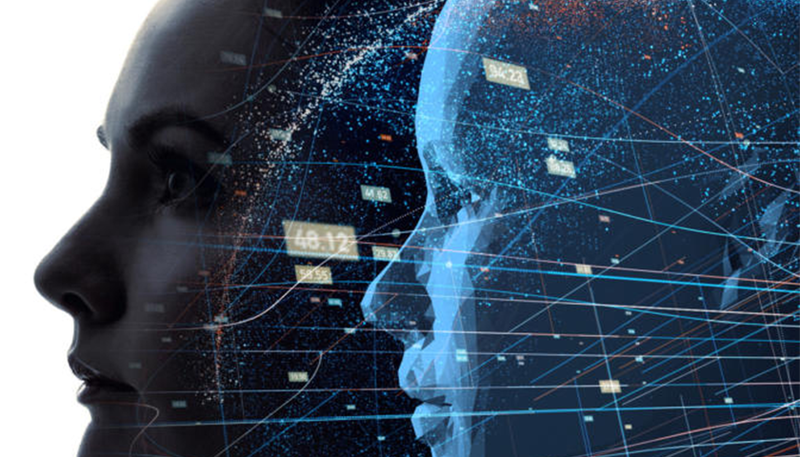 Digital twin implementation can play a key role in augmenting the retail customer experience by creating virtual twins for customers and modeling fashions for them on it. Digital Twins also helps in better instore planning, security implementation and energy management in an optimized manner. Smart Cities: The smart city planning and implementation with Digital Twins and IoT data helps enhancing economic development, efficient management of resources, reduction of ecological foot print and increase the overall quality of a citizen’s life. The digital twin model can help city planners and policymakers in the smart city planning by gaining the insights from various sensor networks and intelligent systems. The data from the digital twins help them in arriving at informed decisions regarding the future as well. The fourth industrial revolution or Industry 4.0 which embraces automation, data exchange and manufacturing technologies is at the talking point of the business world. Digital Twins is at the core of this new industrial revolution bringing in unlimited possibilities. It changes the traditional approach of ‘the first build and then tweak’ in the industrial world and brings in a more virtual system based design process that brings in the much more efficient role out of any equipment or system by understanding its unique features, performance, and potential issues if any. With Digital Twin, an operator can get trained on a virtual machine without spending for a dedicated trainer or simulator. With the further evolution of Machine Learning and Artificial Intelligence, the future is not too far for the machines to take the autonomy to the next level. In such an autonomous world of industrial machines, the role of Digital Twin will evolve and we can witness increasing self-awareness in the machines. Such machines will be capable of optimizing its performance, coordinating with other machines, doing self-diagnosis and self-repairing the faults if any, with minimal intervention from a manual operator.